The Chinese telecommunications company has been manufacturing mobile phones since 1997. It is also the largest telecom infrastructure maker in the world. The company also makes android smartphones and tablets. Recently it has stepped into the smartwatch market with an android wear based devices. It is another one of the big smartphone manufactures from china. 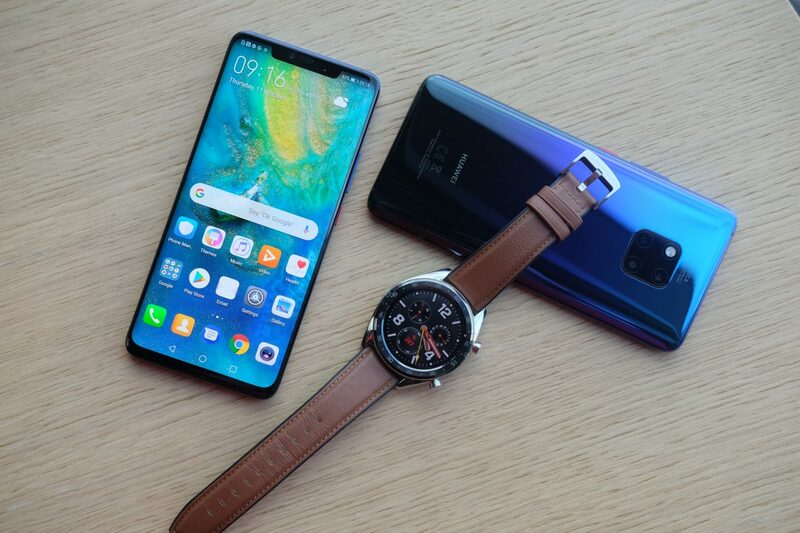 The Huawei Mate 20 Pro flaunts a beautiful 6.3-inch OLED display with 1440~3120 pixels screen resolution. The expansive 19.5:9 aspect ratio and 498 ppi pixel density ensure pleasant media consumption. The OLED panel is sharp, power efficient, and protected by Gorilla Glass. On the camera deparment, this phone is flashing dual camera setup 40MP and 20MP primary camera with PDAF and flash which take life-like pictures. The 24MP front camera is a selfie expert. The Huawei Mate 20 pro stocks a Decent 128GB internal storage which can be expanded up to 256GB. This phone is powered by the homefrown HiSilicon Kirin 980 with two dual-core cortex A76 Processors (2.6GHz + 1.92GHz) and a quad-core cortex A55 (1.8GHz) Processor. The Processors are coupled with a Mali-G76 MP10 GPU and a sizeable 6GB RAM can deliver a blazing fast usage and in-game Performance. The Honor Mate 20 Pro packs a substantial 4200 mAH Battery, the charge lasts a day easily on this phone and quickly juices up thanks to the quick charging support. It is a 4G VoLte supported device with dual nanohybrid Sim-slot so all networks will work flawlessly. Other connectivity features included are Wi-Fi, Bluetooth, GPS and assisted location support, NFC and others. Port-wise this phone has got a USB type-C port and the 3.5mm audio jack is retained. Huawei Mate 20 Pro price in india is expected to be Rs. 76,000. Huawei Mate 20 Pro expected to be Launched on November 28, 2018. This is 6GB RAM / 128GB inernal storage variants of huawei which is expected to available in black, emerald green, midnight blue, twilight colour. Also I posted an article which is good and well optimized and it can help yours audience for more information about the usebenchmark.